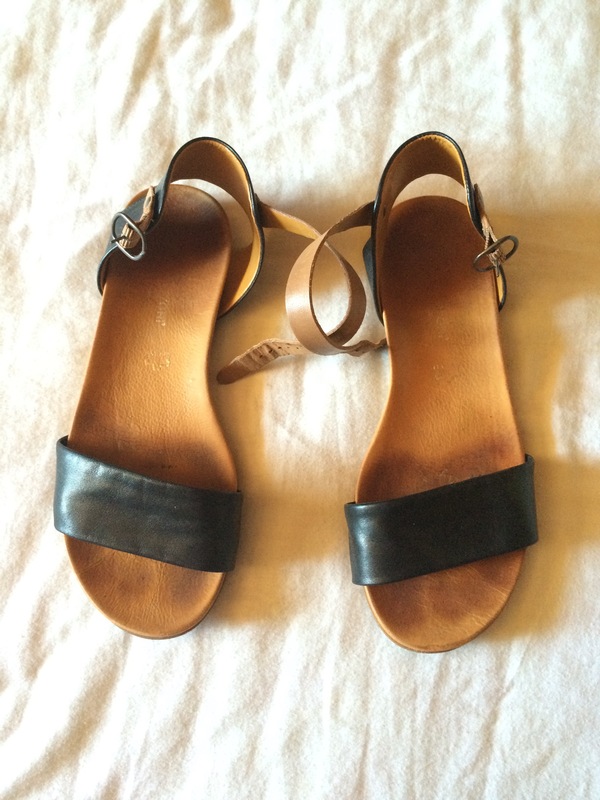 Shoes 1: Black sandals with tan straps. They weigh 340 grams as a pair. Hope I get to wear them!